Few rooms are as rewarding to renovate as bathrooms: They often have a small square footage, an awkward layout and some pretty big furniture. 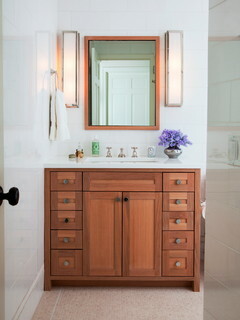 One of the ways a woodworking professional gives your bathroom not just luxe style and a spa-like feel as well as storage is with custom bathroom vanities. Here are some of the ways our Calgary cabinets team turns small spaces like bathrooms into showpieces you and your guests will never want to leave. 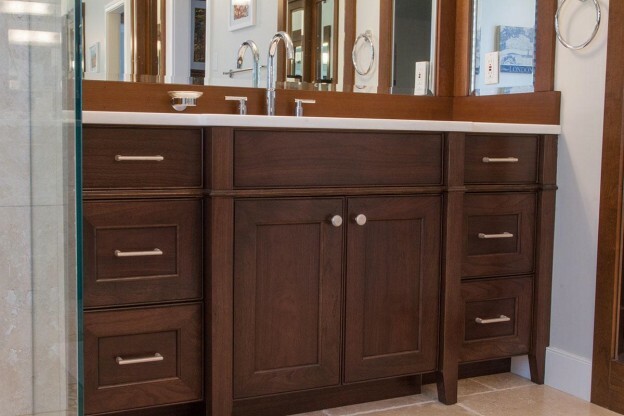 When renovating a small space such as a bathroom, it’s important to maximize your usable area, and custom bathroom vanities can help achieve that. Not only will you get an increased countertop space, but you can also configure the design and size of your drawers to suit your style and storage requirements. 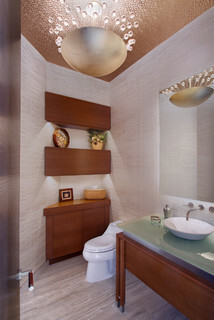 Added touches like built-in medicine cabinets and closets will only add to the feeling of a larger bathroom space. Options for finishing, style choices and fine detail work are limited only by imagination and budget. That means your space becomes a unique reflection of you and the personality of your home. Because a bathroom is typically smaller than other rooms, it gives you the opportunity to make the little details stand out that much more. Guests are more likely to take note of that antique cupboard hardware you installed, or the custom millwork on the bathroom vanity drawers than they would in a larger room. If your bathroom has an unconventional layout—such as angled walls or narrow lines—your Calgary woodworking professional can come up with a solution to either accentuate it or make it blend in, depending on your tastes. Some homeowners love to imbue a sense of character in their living space, while others prefer a more reserved look. The choice is yours. Are you looking to give your outdated bathroom and new look? 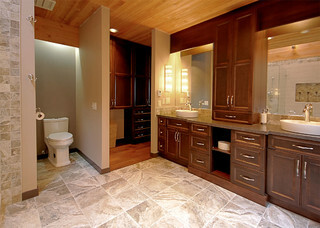 Athena Industries will help you achieve the style you want while maximizing your bathroom space. With our custom millwork and woodwork, you’ll end up with one-of-a-kind cabinetry and bathroom vanities Calgary designers choose for their own homes. This entry was posted in Storage on April 28, 2015 by sproing.